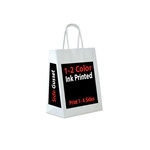 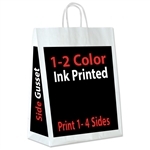 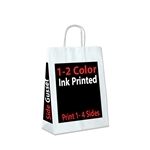 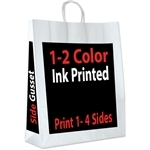 Print "all over" White kraft paper shopping bags including the side gussets! 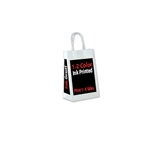 Choose from one of 6 handle colors. 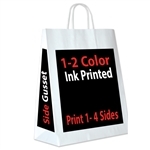 Base price shown is for 5000 bags 1 Color Imprint on 1-4 Bag Sides. 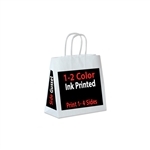 Additional costs for 2 Color and higher Quantities shown under Choose Your Options.